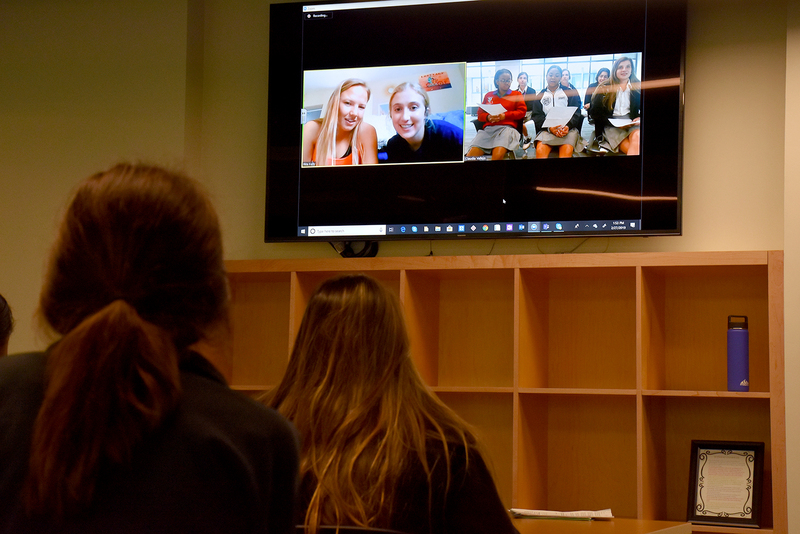 A photojournalist in Colombia, a Chilean gymnast, and an alumna in California were among the interviewees that students in Mrs. Claudia Vallejo’s Spanish AP class connected with via Skype. Conducting their interviews in Spanish, the students connected with Rita Kelly who is attending college in California. Rita also took Spanish AP classes when she was a Dominican student. 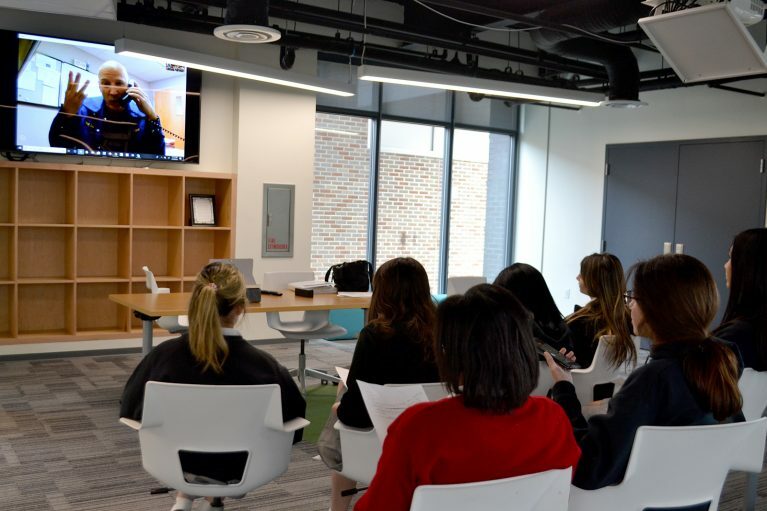 Maria Isabel Torres, a 14-year-old student who participated in the Astronomy Olympics in China, skyped from Colombia. Skyping from Chile, Ignacio Di Baggio shared with the students the challenges of being a stunt double and gymnast. Photojournalist Donald Zuluaga who lives in Colombia talked about working in conflict zones. 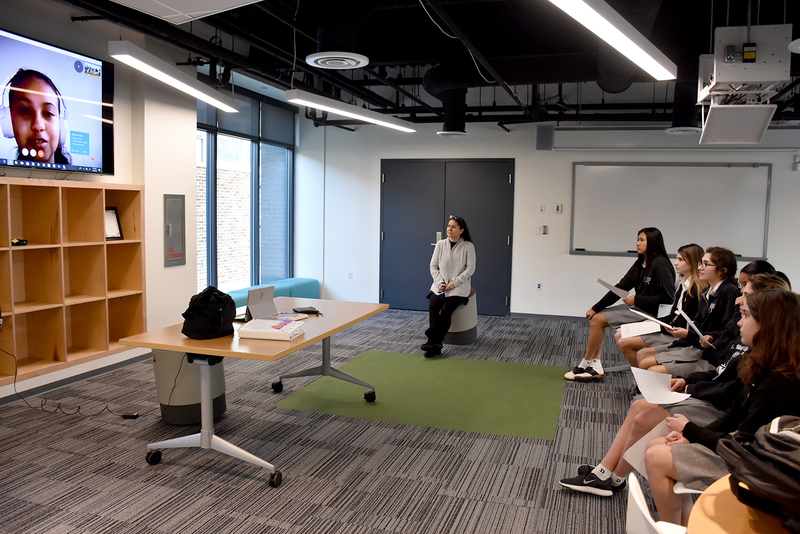 Closer to school, students interviewed civil engineer Will LaPointe in Baton Rouge; Zumba and fitness dance instructor Ingrid Kessler of Houston; and Canadian trombonist Christopher Butcher who resides in New Orleans, skyped from Colorado where he was touring with Branford Marsalis.